New Delhi: Jawaharlal Nehru University (JNU) students went on a day-long strike protesting the massive reduction in the number of research seats. Dissatisfaction started fuming up after JNU admission 2017 began and the prospectus for the same released on the official website of the varsity at jnu.ac.in. Seats have been reduced for various courses under MPhil, PhD, JRF and direct PhD programmes. JNU students had been agitating for last three months against MPhil- UGC admission norms based on UGC guidelines. It was in the previous week, the Delhi High Court had dismissed the plea challenging the JNU admission policy for MPhil and PhD courses based on UGC guidelines. The High Court mentioned that UGC guidelines for these courses are binding on all varsities; thus, paving the way for JNU admission process to begin, after a month's delay. 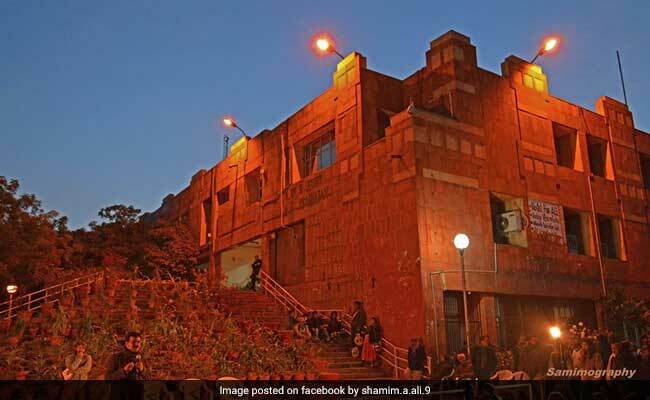 JNU Student Union President Mohit Pandey has said, "The Vice Chancellor had claimed that there will be wider consultations and there will be no seat cuts to deny opportunities to students from marginalised community but they have revealed their intentions in the prospectus itself,". "The strike observed today was day-long but we will decide our future course of action soon," he further added. JNU admission process includes entrance examination (80 per cent weightage) and viva (20 per cent weightage). Earlier the university had decided to make the entrance as qualifying and give 100 per cent weightage to viva. But following protests from students the 80:20 formula was arrived at. As mentioned in the JNU admission prospectus, entrance examination will be held on 16, 17, 18 and 19 May 2017.